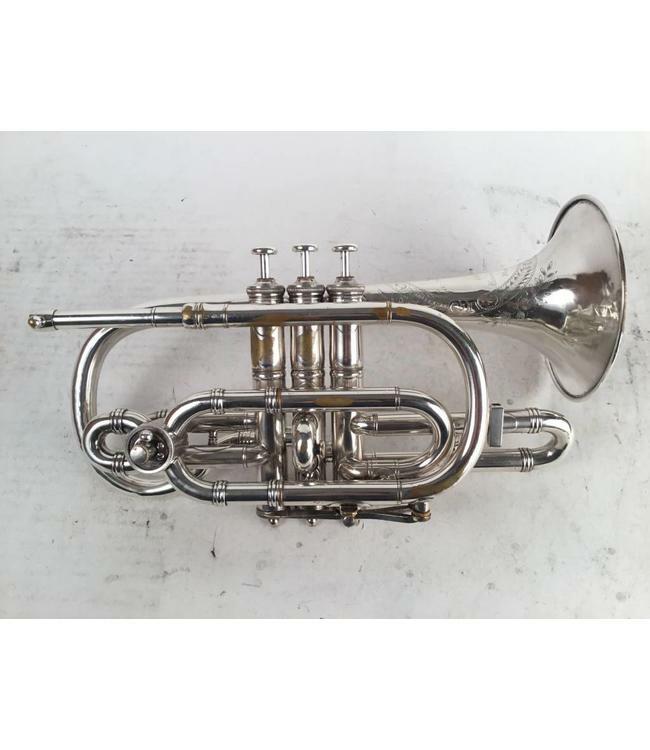 Used Boston 3 Star Bb/A Cornet in silver plate. Instrument is partially engraved, includes quick change rotor valve, mouthpiece bit, original case and mouthpiece. Instrument is in good condition with evidence of bell repair, surface scratching, and dings/dents.